Serving Stark County and surrounding areas. Offering superior remodeling & new construction services in Stark County and surrounding areas. Triple Crown Construction and Remodeling is a full service remodeling and construction company with over 12 years of experience. As a licensed contractor, we are knowledgeable enough to complete any job with precision and quality. We specialize in construction as a whole, handling every part of the construction process from conception to completion. No job is ever too small or too large for us. We offer a range of services that covers any home improvement task from kitchen remodeling, bathroom remodeling, room additions, flooring, tile work, basement finishing, all the way to new construction. 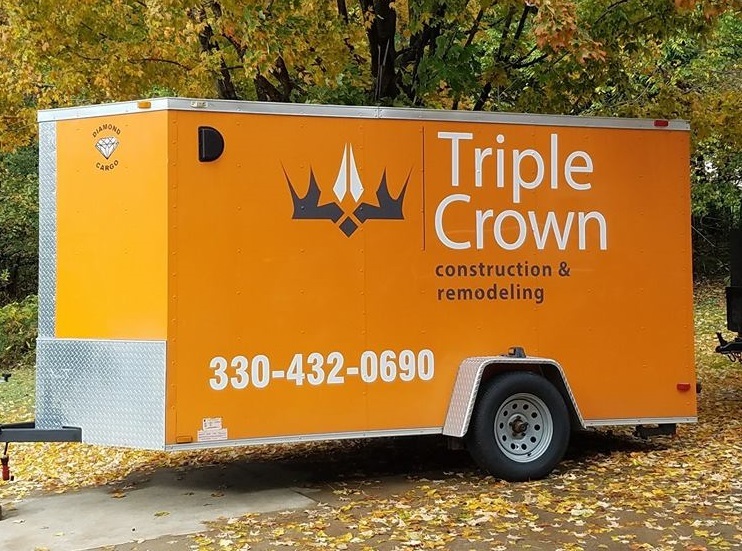 Finding the right contractor in Stark County for your building or remodeling project can be complicated and confusing, but you can always count on Triple Crown Construction & Remodeling for professional results. We have a great reputation for being one of the best in our field. All of our remodeling and construction projects are approached with the highest level of professionalism. We approach every job, whether residential or commercial, with the goals of pristine quality and client satisfaction always in mind. This concept has allowed Triple Crown the privilege of earning a name synonymous with dependability, consistency, honesty and excellence. As a result of our dedication to quality service to the Stark County and surrounding community, we have a reputation for being one of the finest remodeling companies in our field and take pride in maintaining that status. Triple Crown is a remodeling company that does everything from bathrooms, kitchens, basements, tile, hardwood flooring and laminate flooring. We have very competitive prices. Looking to give you the new look your home needs.